While the world still whirls in excitement over Animal Collective's Merriweather Post Pavilion almost as much as Obama's inaguration, industry big-mouth and A&R genius Alan McGee has heralded the Baltimore-based psych pop superstars as the next Hall & Oates on the Guardian's music blog. In the lengthy rant, McGee compares the two acts, saying, "People keep telling me that the harmonies remind them of the Beach Boys, but I hear the subtle pop influence of Hall & Oates. "C'mon! You know it is true!" he continues. "Pitch-perfect pop songs. Vocal harmonies. Dance beats. 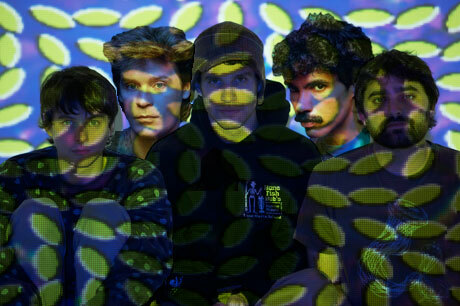 Some say Animal Collective are far too art-damaged to even consider Hall & Oates as an influence, but Hall & Oates were just as artistically minded, writing Top 10 hits while working with Robert Fripp, George Harrison, Todd Rundgren and Arthur Baker." McGee keeps going, losing the focus on Animal Collective entirely by sharing a rather informative history and defense of the "best-selling duo of all-time." He even goes so far as stating that in 1996 he was on the verge of signing them, until his A&R team called them "not hip enough." You can read all about McGee's fascination with Hall & Oates by clicking here. It's certainly hard to argue against, especially for this writer.